Accredited Professional Coach fully qualified, insured and registered with The British Horse Society as a BHS stage 3 Coach in complete Horsemanship. Based near Malvern in Worcestershire, I coach mainly from my base in Castlemorton. 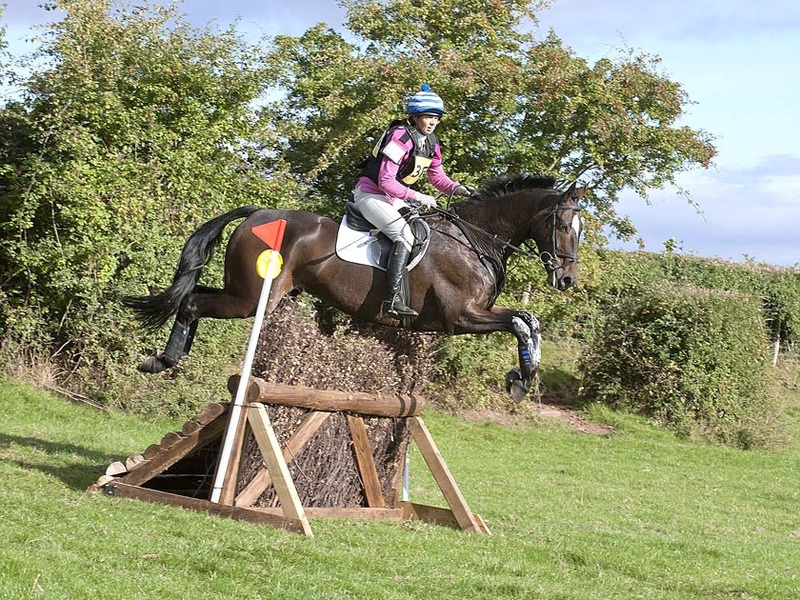 Facilities include ample parking, WC and shower, horse hose wash, a Leisureride Pro 60 X 30 metre arena, a full set of Show jumps plus a small selection of arena XC fences. Local lessons, at my base are £30 for a private lesson or £20 each if two sharing. I am no longer taking on new clients that I have to travel to. Photo below Grassroots event rider Nikki Cox riding her own Biscuit. Nikki and Biscuit are based with me, photo is off her winning an arena Eventing competition, in this photo they are demonstrating the most lovely uphill jumping canter. Schooling Horses is only available during a booked lesson to demonstrate something within the lesson , this is in accordance with the British Horse Society Insurance. Training of riders at Shows and Events £50 per half day plus travel, although I rarely have time to do this but if I am competing one of my own horses at the same event I am always happy to provide advice free of charge. 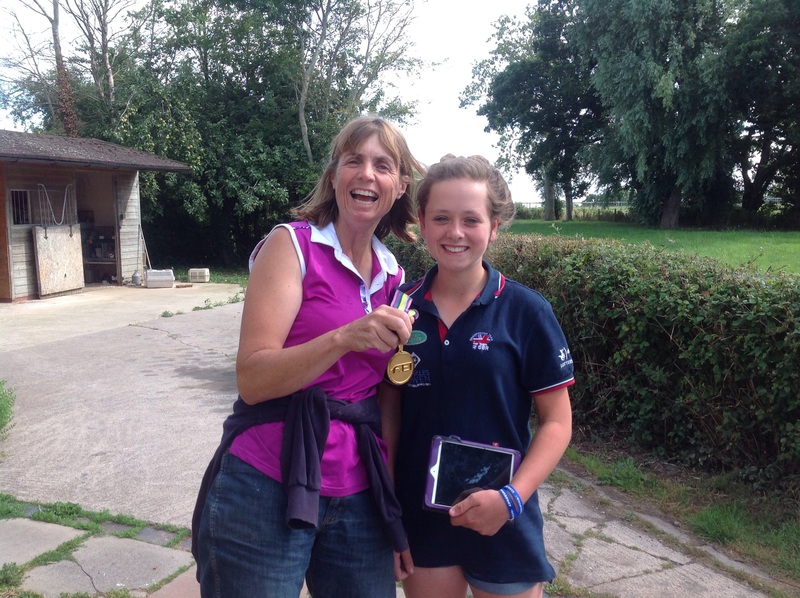 I enjoy coaching riders at all levels from small children, novice adults & ambitious Eventers. Whether you are confident or nervous, I would love to help you reach your goals. Several riders I coach have made their International debut with my guidance, most recently Alice Ward who achieved a double clear at Gatcombe 2016 CIC* and also I coached Saffron Cresswell from when she was 4 years old all the way up until she was 14, when she won the Eventing Team Pony European Gold medal. Past and present trainers and influences include Pammy Hutton, Kate Carter, Kate Cowell, Carole Broad and Charlotte Dujardan. I am also fortunate to have guidence from friends 4* rider Louise Harwood and her mum (the oracle of Eventing) Jackie Skelton. I finished an outstanding 4th in the Young Horse Champs with the help of some valuable training from Louise just before I went in to ride the Championship test. I also recently came 7th in the young horse class at Badminton Horse Trials on the Lovely 4 year old professor sprout. I can help you with all aspects of your training. 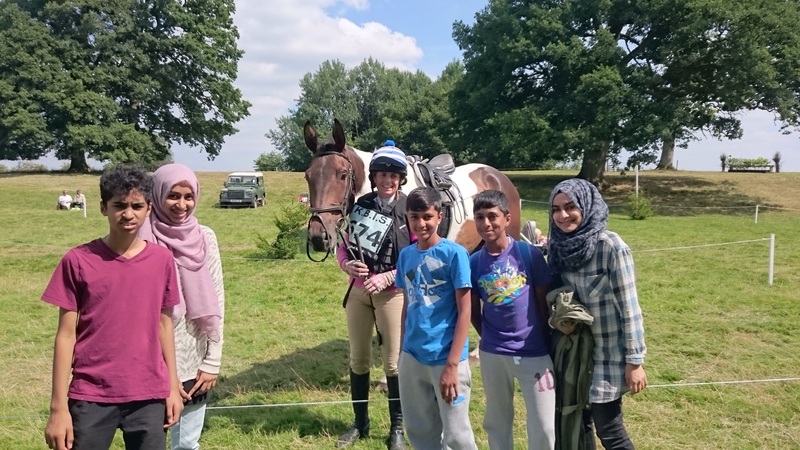 I specialise in training riders with their young or/and novice horses, and find it really rewarding helping riders progress towards their goals. I have also retrained a number of ex racehorses for eventing and love coaching clients with their ROR projects. Improving an athletes skills, knowledge, confidence, feel, balance core stablity and accuracy using fun exercises with polework is an important part of sessions. Once the basics are in place I use technical fences in the arena to perfect your ability to confidently jump complex fences such as skinnies, turning combinations and angles. 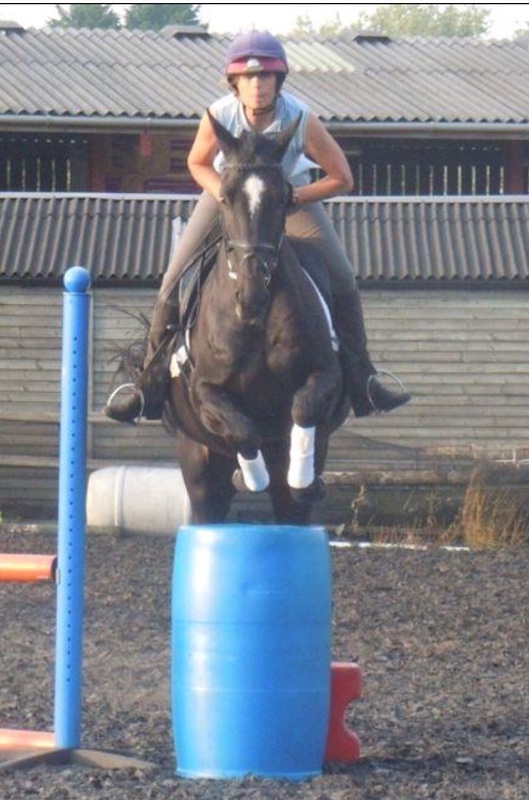 I have competed at 3* Eventing, 130 BS and advanced medium dressage so using the skills I have gained I can help you with improving your dressage scores, Show Jumping and XC technique. Coaching athletes to jump skinnies. Celebrating with Saffron and her medal and a charity XC course walk for children from Gloucester inner city farm.